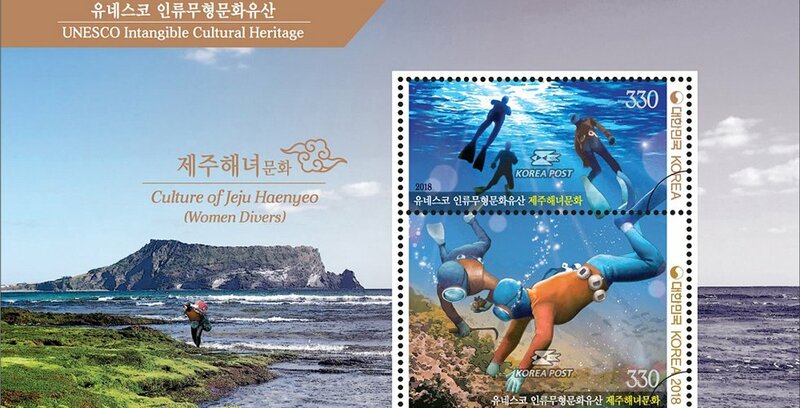 The Jeju haenyeo (women divers) are Jejus symbolic mothers while also representing the islands tenacity. 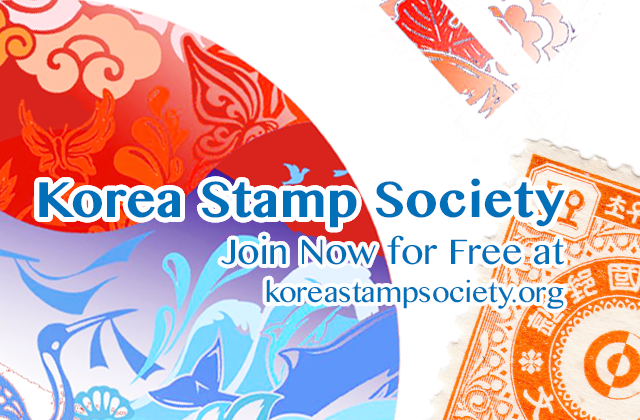 UNESCO recognized the value of this long culture of Jeju haenyeo, as well as the necessity to preserve it, and registered the culture of Jeju haenyeo as an intangible cultural heritage in 2016. 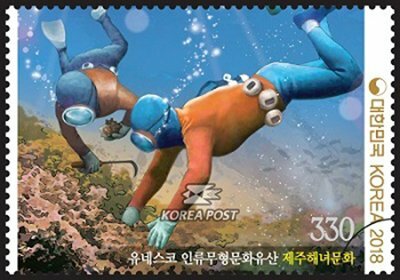 The haenyeo are women who dive 10 meters deep into the ocean without any equipment to gather fish abalone, sea urchins, horned turbans and other marine products. They hold their breath for up to one minute for each dive, and harvest for about 4-5 hours per day, approximately 90 days per year. To protect themselves from the cold, the women wear flippers, caps, goggles, gloves and diving suits (rubber suits), and carry lead diving weights to help them dive deeper into the sea. 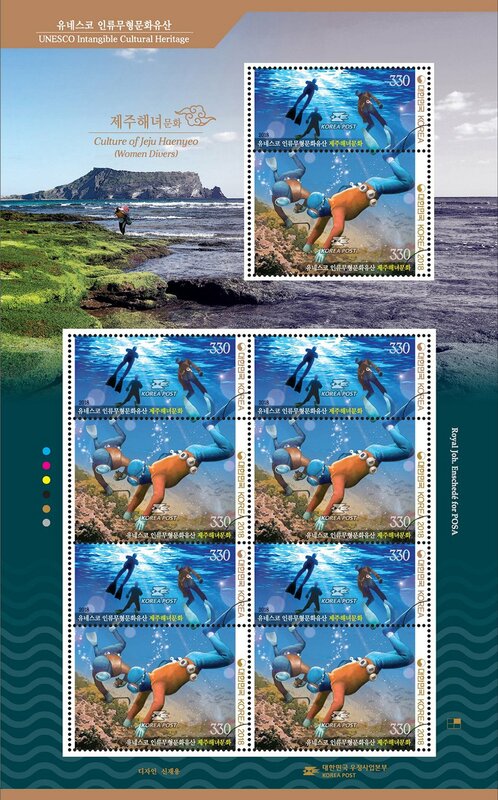 The Jeju haenyeo are categorized into sanggun (ability to dive more than 10 meters deep), junggun (ability to dive 7-8 meters deep) and hagun (ability to give 3-5 meters deep) according to experience and skills. 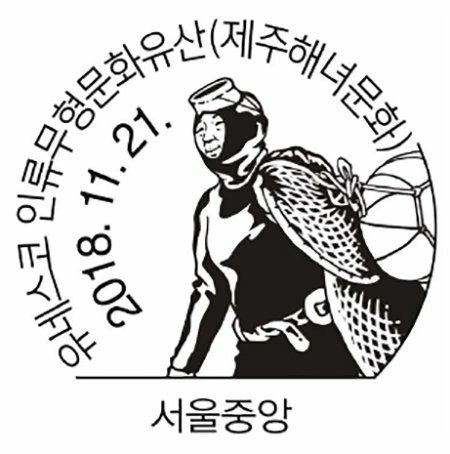 Among the sanggun, there are also the daesanggun haenyeo who have unparalleled gathering techniques, experience and wisdom: they safely lead the operations of the haenyeo and participate in village tasks. The haenyeo always work together, and they pass on their knowhow in terms of swimming techniques or providence of the sea from mother to daughter, or superior to junior. Their communal character that can be seen as they share their harvest with those who caught less and share their profit with people in the village, and their culture of pursuing a sustainable coexistence with the marine ecosystem as they restrain from harvesting during some periods and think of eco-friendly methods to harvest were especially highly evaluated. The ritual they have of praying for safety and a good harvest is also a unique cultural aspect of the Jeju haenyeo community. 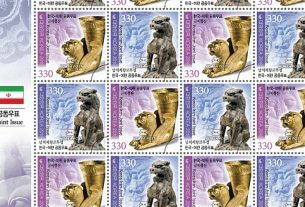 The haenyeo exorcism that asks the dragon god of the sea for welfare and a good harvest, and the haenyeo song that is sung while rowing along on a boat are both significant to the culture of Jeju haenyeo. 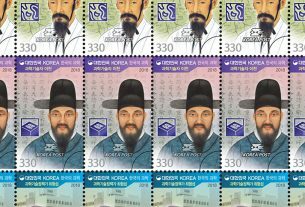 The Jeju haenyeo, who protected the sea with such persevering attitudes, advanced into Japan, China and Russia in the 19th century to expand Jejus economy and be a support to the nation. The Jeju haenyeo are not simply divers who gather marine products in the ocean, but are women who recognize organisms of coexistence and put the interests of the community first. 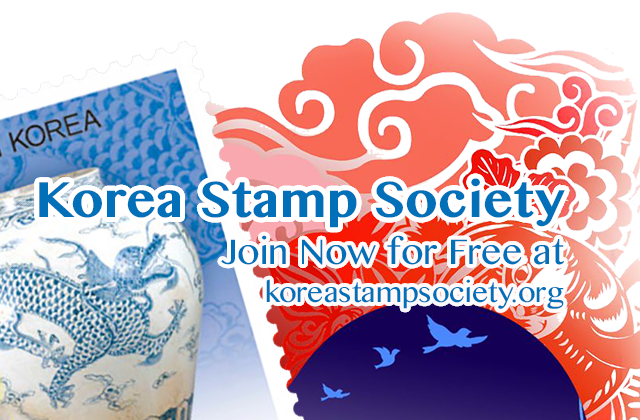 We thus hope that the Jeju haenyeos unique culture will survive and continue to be inherited over time.